Standing four stories over basement, and five bays wide, No. 45 is the largest of the terraced houses on Merrion Square. The house was built circa 1794 for the property developer Gustavus Hume. 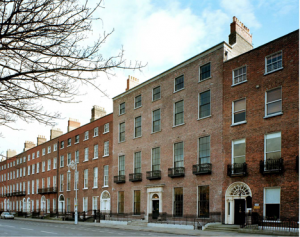 The architect may have been Samuel Sproule who, in the early 1780s, was responsible for the laying out of much of Holles Street, of both Mount Streets and of the east side of Merrion Square. The first person to live in the house seems to have been Robert la Touche who leased the building in 1795. In 1829 the house was sold to Sir Thomas Staples. It had been built in an ambitious and optimistic age, but in the Dublin of the late 1820s its huge size was somewhat anachronistic and certainly uneconomical, so Sir Thomas had the building carefully divided into two separate houses. Sir Thomas died aged 90 in 1865, the last survivor of the Irish House of Commons. On his death, both parts of the house passed to Sir John Banks, Regius Professor of Medicine in Trinity College, who, like his predecessor, leased the smaller portion of the divided building, by now numbered Nos. 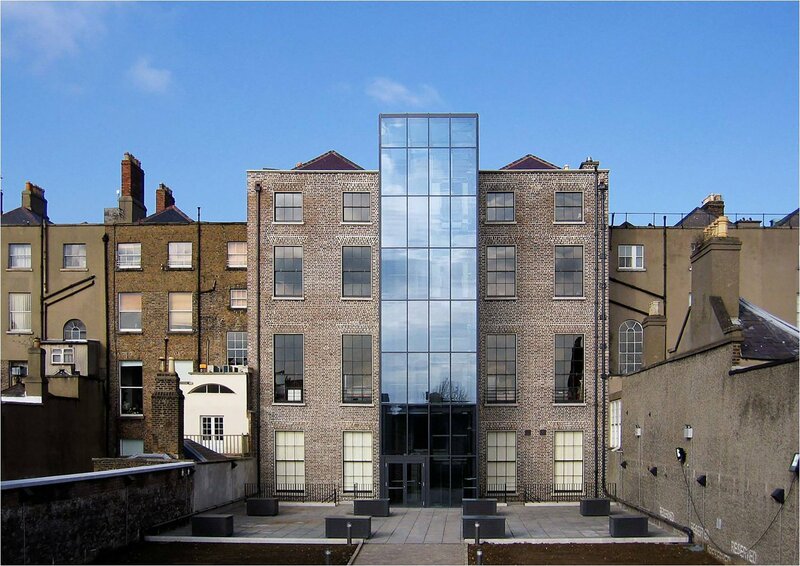 10 and 11 Merrion Square East. Banks himself lived in No. 11, the larger part, which he maintained in high decorative order. Banks died in 1910, and both parts of the building fell vacant and remained so until 1915 when the whole property was used to accommodate the clerical offices of the National Health Insurance Company. 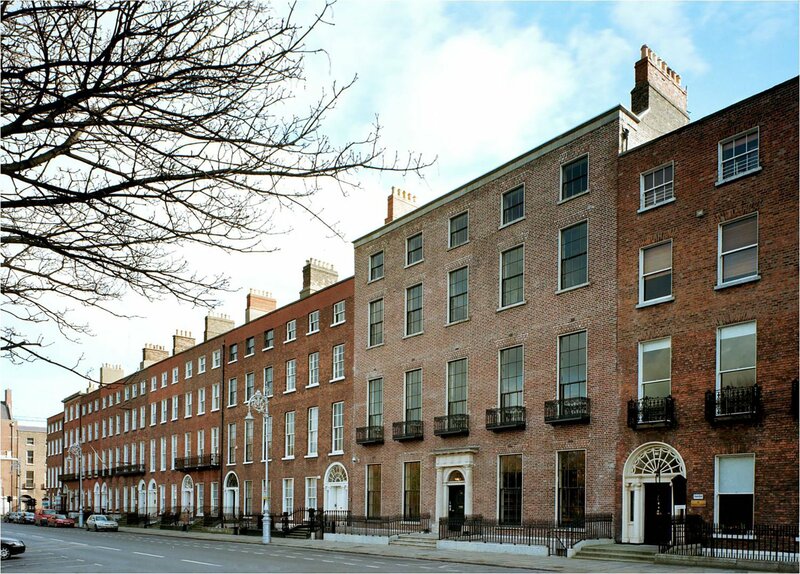 With single occupancy restored, the division of the building, renumbered 44 – 45 Merrion Square, began to be reversed, a process carried on in fits and starts as successive Government departments and agencies moved in and out over the decades. The last to go was the Irish Patents Office, relocated to Kilkenny in 1996. The house was assigned to Irish Architectural Archive by Ruairí Quinn TD, Minister for Finance, in his budget of 1996. 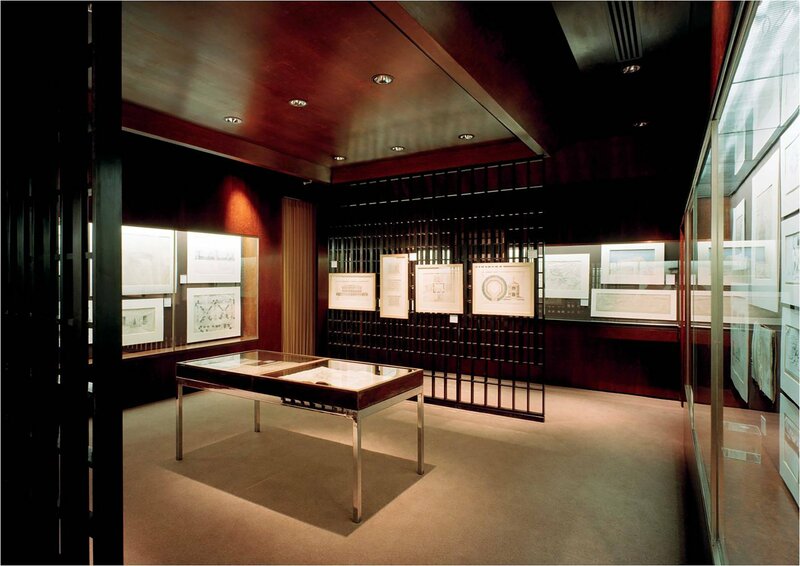 The Office of Public Works carried out an extensive programme of works to the house from 2002 to 2004, including the refurbishment of the historic fabric and the construction of new state-of-the-art archival stores to the rear.